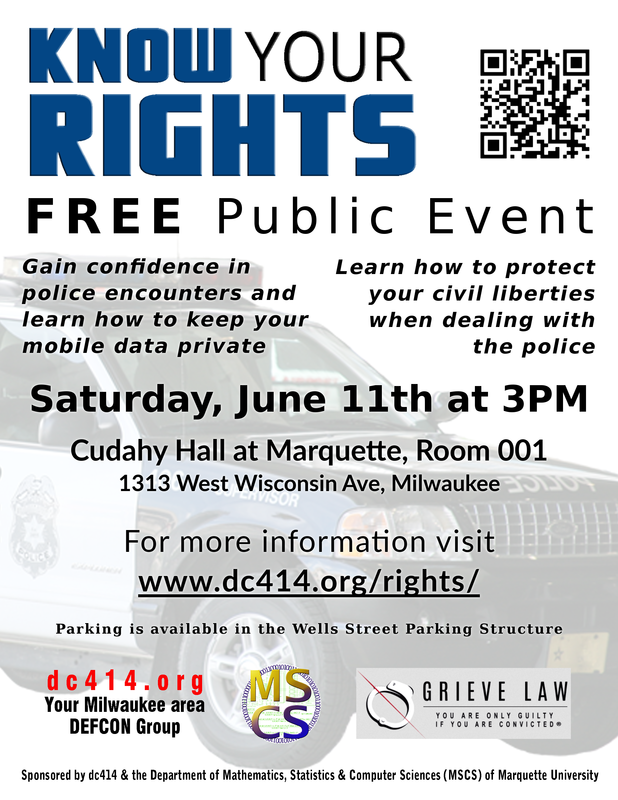 DC414 is proud to present a free public Know Your Rights event on June 11th 2016. 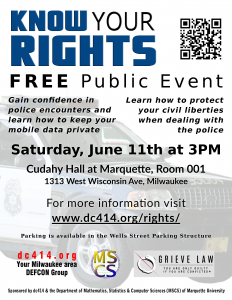 Learn how you can preserve your civil liberties and keep your mobile data private during police encounters with confidence. The event will start with a viewing of the 40 minute film “10 Rules for Dealing with Police” from FlexYourRights.org followed by a few words from Attorney Tom Grieve. There will also be a Q&A session held afterwords so you can get your questions answered! A big thanks to Marquette Department of Mathematics, Statistics & Computer Sciences (MSCS) and Attorney Tom Grieve.